Resisting arrest is codified under California Penal Code 148(a)(1) making it unlawful to willfully resist, delay, or obstruct a public officer or emergency medical technician (“EMT”) in the performance of their duties. Any crime against a police officer requires a careful examination of the circumstances including the scope and lawfulness of the officer’s conduct. This charge is not limited to nonverbal conduct involving a fight or forcible interference with any officer’s activities. Moreover, although it’s commonly applied to physical acts, such as fleeing from a proper investigatory detention, brandishing a weapon, or passive resistance, no law has interpreted the statute to apply only to physical acts. And the government need not allege a person used force or violence impeding the officer’s ability to effectuate an arrest. Instead, a simple delay, however brief, will suffice to warrant the government charging someone with this offense. 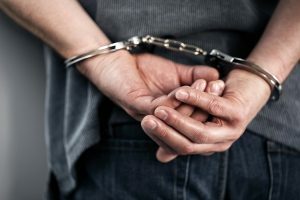 Early retention of a Orange County Criminal Defense Lawyer is critical for a successful defense against resisting arrest charges. Moreover, witnesses should be questioned early before their memories fade, critical evidence such as video surveillance must be preserved, and it may be beneficial for your attorney to instruct you to have a third party photograph any injuries (e.g., cuts, scraps, bruises, handcuff marks) in an effort to preserve evidence of an excessive force claim. While resisting arrest allegations consequently exposes you to severe penalties, normally the charge is built on officer exaggerations or fabrications. The following article will address some important things you should know about resisting arrest charges. You knew or reasonably should have known the person was a public officer or EMT. WHAT ARE THE LEGAL DEFENSES TO RESISTING ARREST? As a general rule, an officers’ excessive force makes the arrest unlawful. Indeed, if the officer engages in the use of excessive force, then that triggers your right to self-defense with reasonable force. While an officer is permitted to use reasonable force to effectuate a detention and the capture of a suspect, an officer may exceed their permissible scope by engaging in lethal tactics such as using their firearm, using of their baton, or even choking a suspect. Other impermissible measures include twisting your arm, fracturing your wrist to place you in handcuffs, or even striking you in the face. Any use of force by a police officer will turn on whether the officers’ use of force was reasonable under the circumstances. If the officer exceeded their lawful scope, then you have an absolute right to use reasonable force against the officer. CASE EXAMPLE: People v. White (1980) 101 Cal.App.3d 161 stands for the proposition that the court has a duty to instruct the jury on self-defense if supported by the evidence. In this case, the defendant was convicted of resisting arrest after assaulting multiple arresting officers, struggled during her arrest, and bit an officer who had placed her in a carotid restraint to subdue her. The defendant appealed contending there was instructional error when the trial court denied the defendant’s request for a self-defense instruction after officers’ committed excessive force. The appellate court concluded that because there was an issue of excessive force presented, which, if found to have occurred, would have made the arrest unlawful, “it became essential for the jury to be told that if they found the arrest was made with excessive force, the arrest was unlawful and they should find the defendant not guilty.” The court also concluded the instructions were incomplete because the defendant had the right to defend herself against force by the arresting officers’ use of excessive force reiterating the long standing rule that every person has a right to use reasonable force against an officers’ unlawful use of force. CASE EXAMPLE: In People v. Ghebretensae (2013) 222 Cal.App.4th 741, the appellate court upheld a conviction for resisting arrest finding that the officer did not use excessive force after un-holstering his gun, but carried it at his side when he ordered defendant to stop, and where he holstered gun as he chased after defendant, although officer also took out his taser, there was no that deployed it. Under this scenario, the defendant claimed the use of excessive force caused him to run away from the officer. The defendant’s claim was not valid as the officer never engaged in the use of force but was merely being cautious under the circumstances. An arrest or detention must be supported with either reasonable suspicion or probable cause that a crime had been committed. 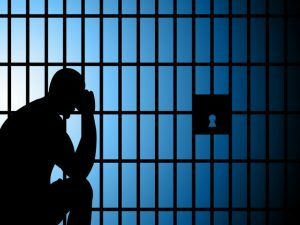 If the arrest or detention is found to be unlawful, then you cannot be convicted of this charge since your initial detention should never have resulted in the first place. Reasonable suspicion is the lower standard of proof requiring that police reasonably believe you committed a crime, regardless of whether you actually committed a public offense or not. The higher standard is probable cause which is sufficient cause to justify your actual arrest. Although this defense is more commonly litigated under a Fourth Amendment issue when arguing an unlawful search or seizure, however under the resisting arrests statute, this will serve as a defense in order to deter police misconduct. In other words, deter police from detaining individuals without any sufficient cause. Another instance calling into question the lawful performance of the officer is if you were arrested inside your home without officers being armed with a warrant. In order for officers to enter your home without a warrant, you or a co-tenant must give them consent or emergency circumstances must exist. Exigent circumstances describes an emergency situation that requires swift action to prevent imminent danger to life or serious damage to property, or imminent escape of a suspect or destruction of evidence. Thus, if you were arrested inside your home and you allegedly resisted arrest, then the reason for the officer’s entry into your home will be questioned. If it’s determined their entry was deemed unlawful, then this charge will be thrown out. EXAMPLE: Officers were outside of his house after receiving a call of Dan being too loud in his front room. Officers observed Dan through the front open door shouting with clear signs of intoxication. Dan was shouting racially charged epithets at an officer while inside his home. The officer got upset and ran into Dan’s home to arrest him for disturbing the peace. The officer had trouble taking Dan to the ground due to Dan’s resistance. More officers joined and eventually were able to place handcuffs on Dan and subsequently place him in the patrol car. Dan was later charged with resisting arrest. In this case, Dan’s defense attorney would argue that officers unlawfully entered and seized Dan inside his home without a warrant and thus the charges should be dropped. Dan’s defense attorney may have a viable argument since the officers were never granted consent nor were there any emergency circumstances permitting officers to enter Dan’s home. The officers could have obtained a warrant but elected not to do so and instead entered Dan’s home mainly due to his behavior and name calling of one of the officers. Law enforcement acknowledge and understand that their word has more credibility against yours in the courtroom. Because they know this, they often exaggerate the circumstances of your arrest in an effort to support your guilt or perhaps justify their use of force against you. In the event you suffered any injury as a result of your police encounter, rest assure that an officer will exaggerate or even fabricate portions of the encounter as a precautionary measure to avoid any civil rights claims against their department. Additionally, police officers have a tendency to be more hypersensitive about an encounter and often overreact when a suspect poses no risk of harm. An essential element for penal code 148(a)(1) pc is that you knew or reasonably should have known that the person arresting you was a public officer. This defense may arises if you were detained by undercover police officers wearing plain clothes who never verbally disclosed that they were law enforcement or shown his or her badge. If police fail to do so, then you are not expected to know that it’s a police encounter. Moreover, you may believe that someone is attacking you and you were merely using force or delaying their efforts to protect yourself from harm. Alternatively, officer’s wearing uniform may also need to announce themselves in dark places or if they place you in a guard hold from behind. In many instances, officers will grab you from behind and shout “stop resisting!” but forget to announce that they’re police. Similarly, you’re never expected to know who’s grabbing you if you cannot view them from behind. EXAMPLE: Dan was outside of a bar when he got into a verbal altercation with another bar patron. A police officer noticed the altercation and proceeded to break up the argument. Just before Dan was about to strike the other patron, the officer grabbed Dan from behind placing him into a choke hold. Thinking someone was attacking him, Dan maneuvered his body to his side causing the officer to fall to the ground. Dan was subsequently charged with resisting arrest. In this case, Dan’s defense attorney would argue that Dan lacked the requisite knowledge the person grabbing him from behind was a police officer. Moreover, the officer never identified himself verbally, grabbed Dan from behind, and under the circumstances, Dan believed he was being attacked from behind by perhaps someone associated with the other bar patron. The term “public officer” encompasses police officers, sheriff’s deputies, and any agency with arresting power. Moreover, a public officer includes public officials and employees who perform law enforcement-related duties in connection with their office or employment. Thus, the term encompasses a school security officer, who, although not a sworn peace officer, works in partnership with law enforcement agencies to achieve the goals of ensuring the safety of persons or property on public school premises. However, private security companies in charge of surveilling an apartment complex or hotel normally do not suffice to constitute a public officer. CASE EXAMPLE: In In re M.M. (2009) 177 Cal.App.4th 1339, the appellate court held that a campus security officer employed by the public school district was not a “public officer,” within the meaning of the statute defining the offense of resisting arrest, where the campus security officer did not exercise a delegated sovereign function of government and did not hold a tenured position for a specified period of time, and was neither elected nor officially appointed to his job. Resisting arrest is a general intent crime. In other words, it does not require you to act with the specific intent to resist, delay, or obstruct a police officer. Under this element, you are required to intend to commit the act which caused resistance, delay, or obstruction on the duties of the officer effectuating your arrest. However, if you did not intend to commit the act, then you’re not guilty of this offense. For instance, the officer placed handcuffs around your wrist so tight is caused severe pain causing the officer to have a brief delay in placing you into their patrol car. In that instance, your reaction was spontaneous as a result of the pain negating your intent to delay the officer duty of placing you in the vehicle. EXAMPLE: Dan was pulled over by a police officer for swerving on the road. Upon contact, the officer noticed a strong odor of alcohol and Dan portraying signs of intoxication. The officer formed the opinion that Dan was driving under the influence and attempted to place handcuffs on him. Because Dan was so intoxicated, he passed out falling to the ground. The officer then had to drag/carry Dan into the police car thereby delaying his duty to make a swift arrest. Dan was later charged with resisting arrest. Here, Dan would not be guilty of resisting arrest because he did not harbor the requisite intent to commit the act which caused delay in the officers’ duties. Instead, Dan’s alleged resistance was the product of his intoxication which caused him to pass out over his free will of complying with the officer. PC 148(a)(1) is a misdemeanor offense punishable up to 1 year in the county jail and a fine not exceeding $1,000. The court will normally impose a period of probation for three years and order that you complete anger management and community service. In addition, a conviction may have adverse consequences to anyone holding a state license or seeking U.S. citizenship. However, upon successful completion of probation, you may be eligible to expunge your conviction under PC 1203.4. WHAT ARE EXAMPLES OF PC 148(a)(1)? EXAMPLE 1: After pulling Dan over for a traffic stop, a police officer noticed Dan to portray objective signs of intoxication. After conducting numerous field sobriety tests, the officer placed handcuffs on Dan and arrested him for DUI. Dan got upset and lay on the ground. The officer had to summon multiple officers to lift and carry Dan into the patrol vehicle in order to transport him to the local jail. In this case, Dan would also be charged with resisting arrest because he intentionally went limp which required the arresting officers to carry him into the patrol vehicle. Dan’s behavior delayed the officers’ swift efforts to effectuate Dan’s arrest. EXAMPLE 2: In the above example, Dan could be charged with multiple counts of resisting arrest because multiple officers were involved in carrying him into the patrol vehicle. Dan’s actions not only delayed the initial officers effort in arresting Dan but the officer had to summon multiple to help assist in getting Dan into the patrol vehicle. EXAMPLE 3: Dan was arrested for misdemeanor domestic violence and taken to the police station. While in the booking process, Dan refused to give the booking officer his identifying information. Dan’s refusal caused the booking officer to have to run a manual background check on Dan which delayed the booking process further. Had Dan disclosed his identifying information, the process would have been much quicker. In this case, Dan would not be guilty of resisting arrest while the act of refusing to disclose one’s identity at the booking stage of the arrest unquestionably obstructs a police officer in the discharge of his or her duties, mere refusal to disclose personal information following an arrest for a misdemeanor or infraction cannot constitute a conviction for resisting arrest. 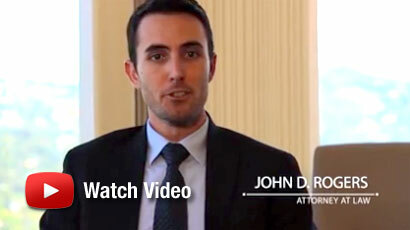 If you’ve been arrested for resisting arrest under PC 148(a)(1), contact an experienced Orange County Criminal Defense Attorney at the Law Offices of John D. Rogers for a free confidential consultation concerning your rights and defenses. Our office represents those standing accused of resisting arrest in Orange County, Los Angeles, San Diego, San Bernardino, Ventura, and Riverside counties. CALCRIM No. 2656: To prove that the defendant is guilty of this crime, the People must prove that: 1. someone was lawfully performing or attempting to perform his or her duties as a public officer; 2. The defendant willfully resisted or obstructed or delayed the public officer in the performance or attempted performance of those duties; AND 3. When the defendant acted, he or she knew, or reasonably should have known, that this person was a public officer performing or attempting to perform his or her duties. See In re M.M. (2012) 54 Cal.4th 530. 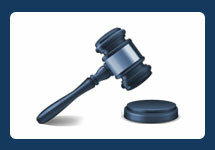 Contracting without a contractor’s license is usually assigned to a specialized prosecuting unit. Up until 20 years ago, this charge was hardly if ever prosecuted….